The world has come a long way from the basic PowerPoint presentation slides that made us “ooh” and “aah” back in the 1990s; so make sure your real estate business does not get left behind. Now that millennials outnumber baby boomers, it might be time to dust off your presentation skills in order to appeal to wider audiences that are accustomed to the bells and whistles of Keynote, Emaze, Prezi and the like. Whether you are loyal to Microsoft Office or spurned that software suite many moons ago, its new presentation app, Sway, is worthy of a double-take as you craft your next listing presentation. 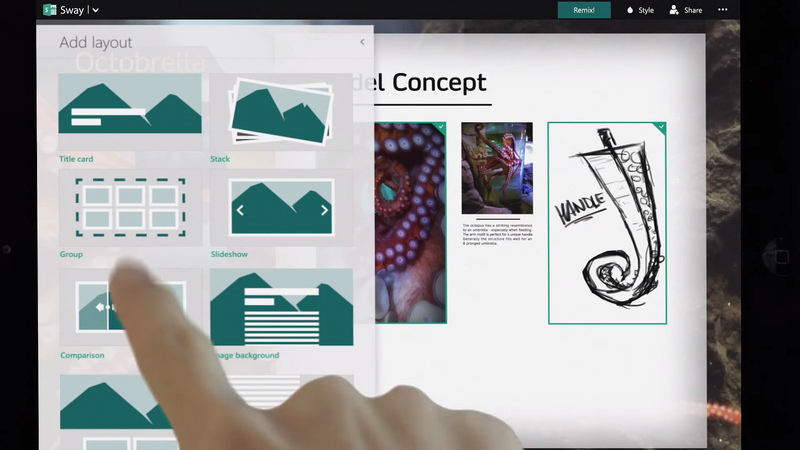 The new app, Sway, is worthy of a double-take as you craft your next listing presentation. What do you think of Sway? It has high potential if you need to concoct a presentation for a prospective home seller within minutes — especially if you have ready market data and content available, like from your realty firm, MLS or local board of Realtors. But it might be a fail if you are limited to using certain mobile devices while you are on the run. Sometimes you just don’t know until you try something for yourself. Because Sway is currently free, it might be time to give it a whirl. Lee Davenport is a licensed real estate broker, business doctoral student, trainer and coach. Learn more about the training and one-on-one coaching programs that she offers by visiting www.AgentsAroundAtlanta.com. Follow her on Google Plus and Facebook.